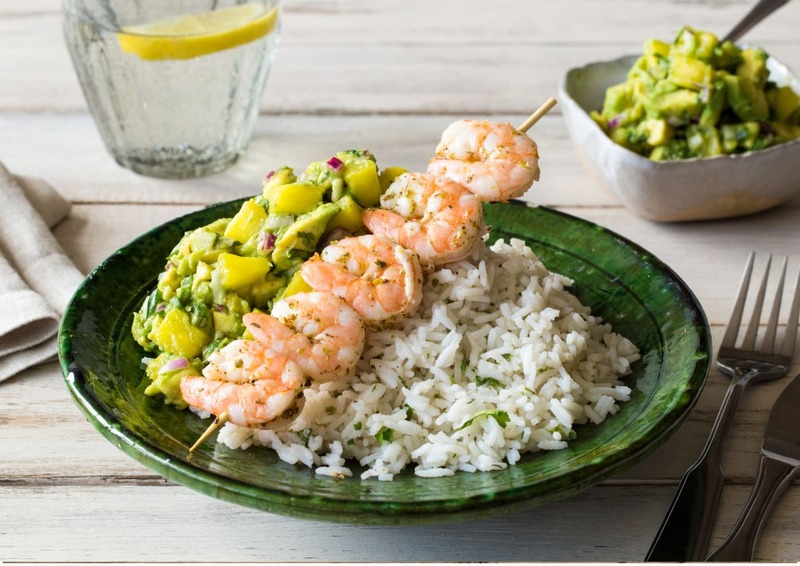 More citrusy and bright than Mediterranean oregano, Mexican oregano pairs perfectly with lime zest on these juicy shrimp skewers. The combination of tangy pineapple, creamy avocado, and spicy jalapeño makes for an unbeatable guacamole-salsa hybrid. Heat your broiler to high or oven to 500 degrees. HINT: If you have a grill, this is a great time to use it; heat grill to high. Soak the wooden skewers in water in a shallow pan. In a small pot, bring 1 ½ cups water to boil with a large pinch of salt. Chop the cilantro. Halve, peel, and dice the red onion. Mince the jalapeño, removing the ribs and seeds if you prefer less heat. Zest and juice the lime. Once boiling, add the rice to the pot, cover, and simmer for 15 minutes, until tender. Meanwhile, toss the shrimp with the lime zest and half the lime juice in a medium bowl. Season with salt, pepper, and the Mexican oregano. Thread the shrimp onto 2 skewers. Thread the pineapple onto the remaining two skewers. 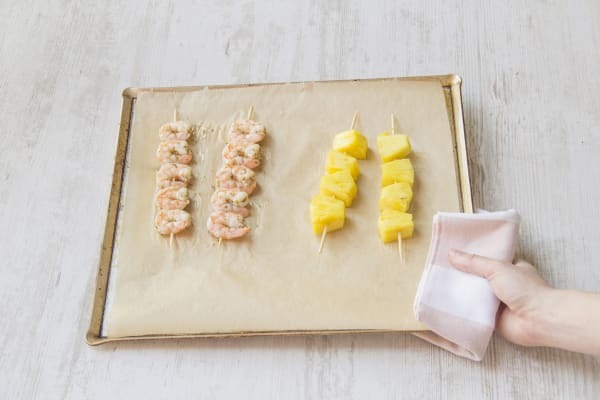 Place the skewers on a lightly oiled baking sheet and set under the boiler or in the oven for 2-3 minutes per side, until pineapple is lightly charred and shrimp are opaque. If using a grill, grill 2-3 minutes per side over high heat. 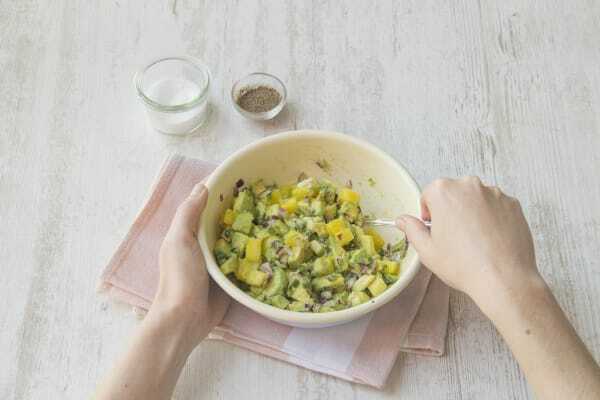 To make the pineapple-avocado salsa: Remove the pineapple from the skewers and cut into ½-inch cubes. 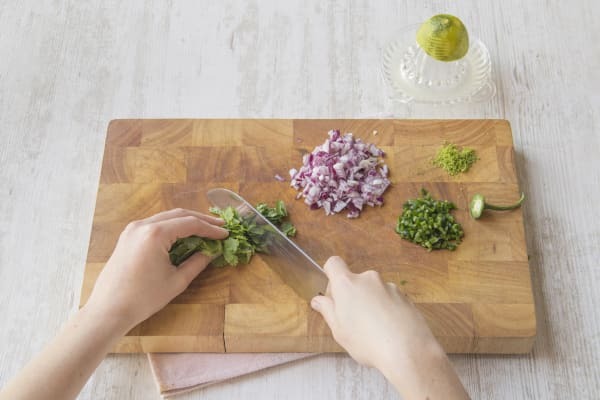 In a medium bowl, toss together the pineapple, avocado, jalapeño and red onion (to taste), remaining lime juice, half the cilantro, and 1 tablespoon olive oil. Season with salt and pepper. Fluff the rice with a fork and toss in the remaining cilantro. Serve with the shrimp and a generous serving of pineapple salsa on top. Olé!